Superdry men’s applique colour block hoodie. This hoodie is keeping on-trend and contemporary with a colour block design. 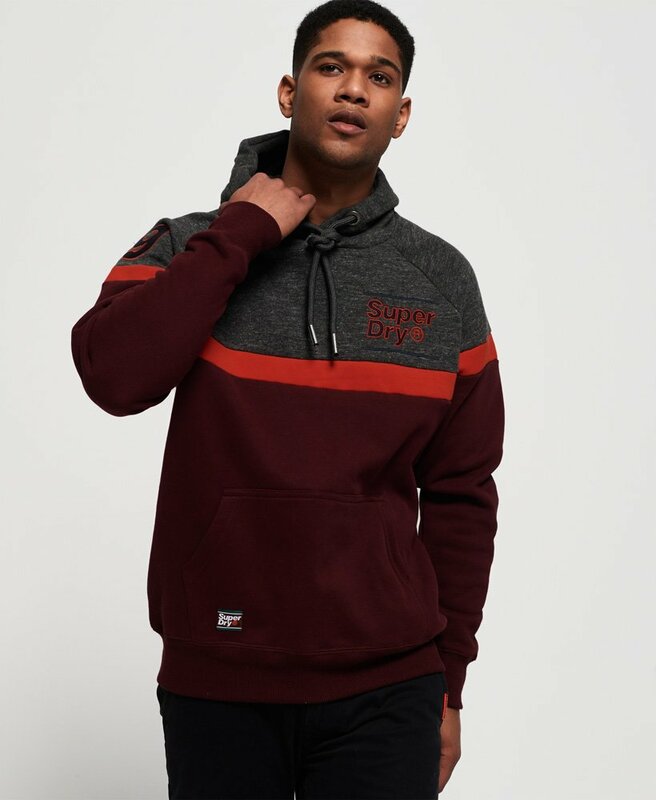 This hoodie is a great choice for everyday wear, it features a super soft brushed cotton inner lining, a draw cord hood, Superdry applique badges on the arm and chest, as well as a large handy front pocket. In addition, this hoodie has ribbed trims throughout and a Superdry tab on the pocket to finish. This hoodie would look great teamed with your favourite jeans and trainers, or even with some joggers to channel an athleisure vibe.